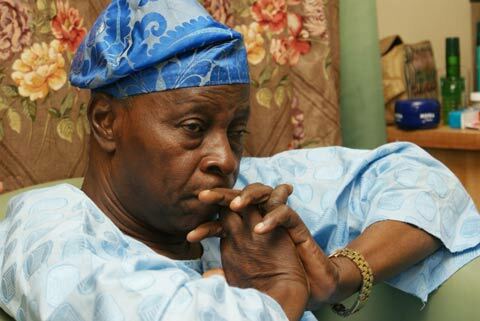 Former Presidential candidate of the Alliance for Democracy (A.D), Chief Olu Falae has resigned as the National Chairman of the Social Democratic Party (SDP) and as well quit active politics. The challenger to former President Obasanjo in the 1999 election, said he is quitting the position on health grounds, though there are indications that his resignation is linked to the current crisis rocking the party which saw the party withdraw from the February 16 presidential election on Thursday to endorse the incumbent President and candidate of the All Progressives Congress (APC), President Muhammadu Buhari. The party had made the decision known in a statement it released on Thursday as part of the resolutions of its National Executive Committee (NEC) meeting in Abuja, where it announced its withdrawal from the CUPP for the 2019 presidential election. Donald Duke, the candidate of the SDP in the election, has however insisted that he remains on the ballot box and has not stepped down for Buhari.